Ever dream of becoming a boxing champion? Give it your best shot! 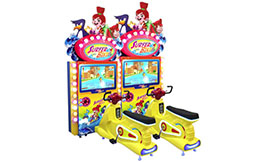 In this game players must land their best punch to register high scores and win tickets. Only for ages 12 and up. Just roll ‘em right to take the title of Lane Master! This video bowling alley is the real deal, and the same length as in the classic game. Give it your best shot, or shall we say “roll”?! 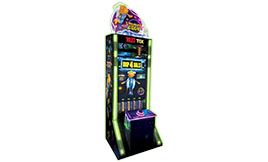 Can you drop 4 balls into the target to help the adorable alien character Codey’s progress towards the stars? It’s not very complicated but Codey needs all the help he can get. Quick! 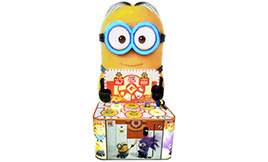 The cute but naughty Minions are trying to escape but we want them to say, so whack them as hard as you can when they come your way. They’re fast so it’s harder than it looks! 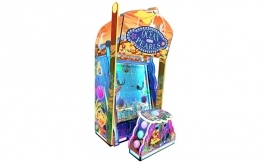 Explore the ocean in this interactive game! 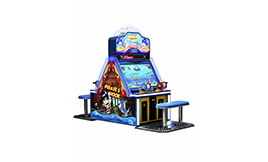 Featuring 3D mermaids, pelicans, crabs and other underwater characters, the game challenges players to manoeuvre balls from the top into the scoring holes at the bottom. Looks like fishing, feels like fishing, is like fishing! A fantastic fishing game for up to 2 players – simply hook your catch and make sure to catch the Lobster King for extra treasure. 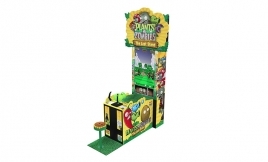 The player controls the peashooter that fires peas to destroy the zombies. The more zombies you destroy, the more tickets you win – and you can also win a bonus! 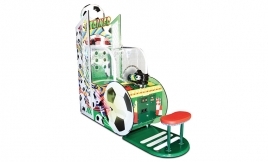 Pop goes the lock… but only when you manage to hit the yellow dots that randomly appear on the playing field. Pop one and another appears. 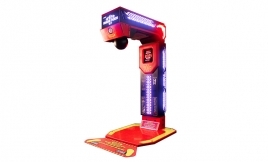 Great hand-eye coordination makes you the king or queen of pop! Players simply tap a single button to release the balls. 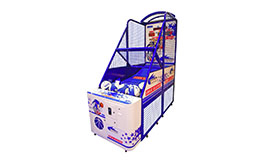 The goal is to quickly and correctly drop 50 balls into the buckets on the rotating table before time runs out. Calling all music lovers to play some tunes on the jukebox. 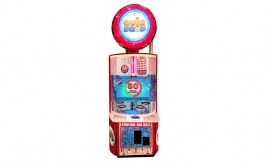 Simply hit the button to make the ‘flippers’ swing the balls to light up the word “gold”. And enjoy the sweet sounds of some golden oldies. 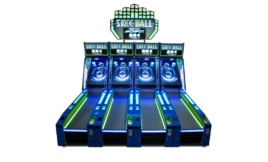 Skee Ball is classic arcade game that even parents will remember from back in the day! Score tickets by rolling 9 balls up the lane, and try to shoot for a high score. Shoot some hoops with Sonic and put your basketball skills to the test. It gets tricky though. With each stage the difficulty will increase. For the fast and wild! After starting the game, buttons will begin lighting up. The goal is to hit as many lit buttons as possible within the time limit. 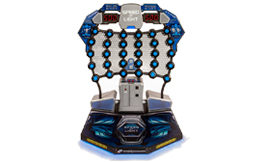 The more you hit, the higher the score and the more tickets you win! Soccer fanatics, this one is for you! 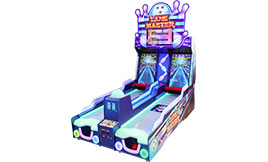 Aim at the lit-up targets and score as many goals as you can. Experience all the thrills of real-life soccer, and earn points as you go. Play the role of a graffiti artist who gets caught tagging a train. 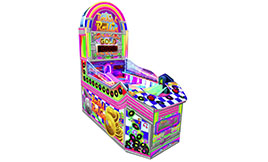 The aim is to run form the police, dogging to avoid oncoming train and obstacles while collecting coins and earning points. Race away on your surfer bike but make sure to use your best skills to avoid the crazy obstacles in your day. It’s fun and simple… and don’t forget to catch bonus objects along the way to help you win. The super big bass wheel – bigger, better and so much fun! 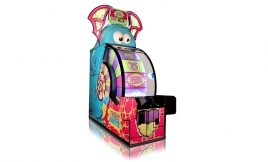 Players step up and pull the handle to spin the monster’s big tongue. When the tongue stops, tickets are awarded.